Men love drinking beer and chill out with friends. 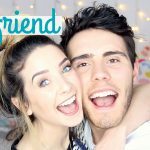 Being a wife, you must feel a bit jealous and insecure to see you husband chilling out with his friends and having a good ‘guy’ time! 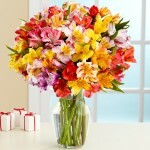 But its needed and you should give your husband a little space every now and then. They would surely appreciate that. Be a super cool wife to your husband. 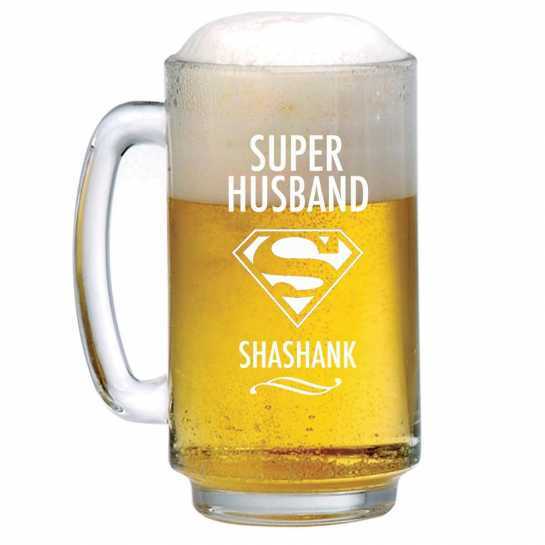 Here is a list of personalised beer mugs that you can gift to your husband on any occasion. 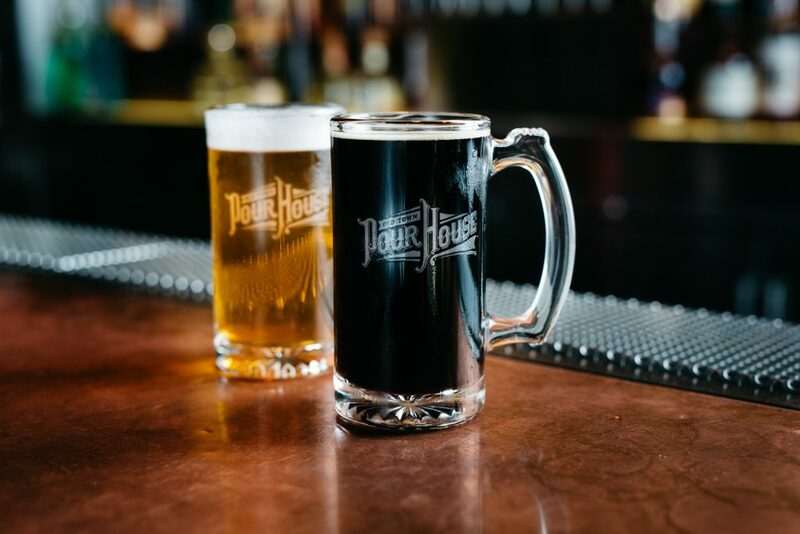 This way, you would remind him of you, even when he is hanging out with this friends over a beer or two. 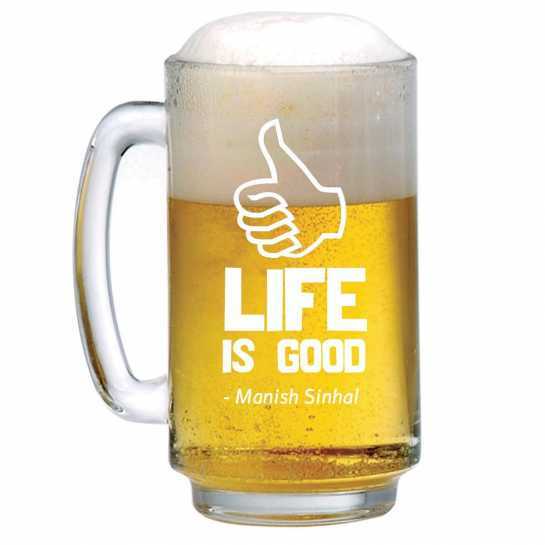 Get a cool and funny quote engraved on this stylish beer glass tumbler along with your signature. 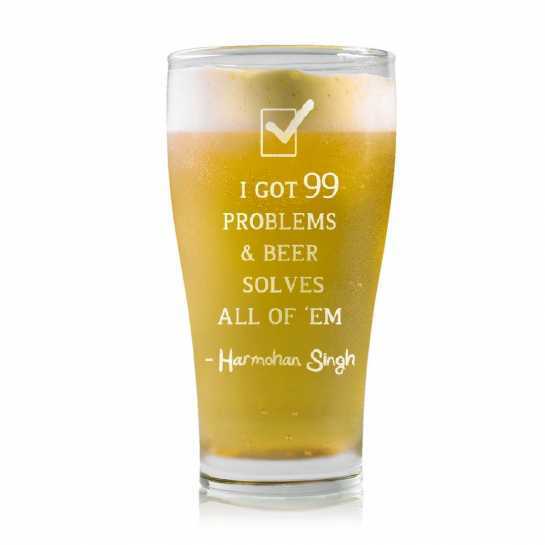 This template uses the quote – I got 99 problems, and beer solves all of them. You can get any other quote engraved as well. 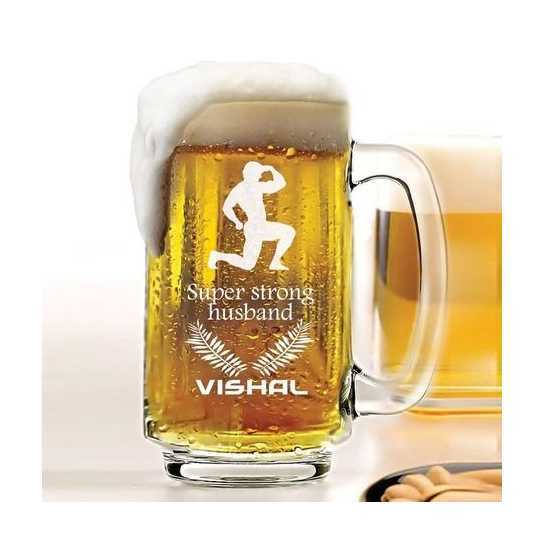 A customized beer mug, with a cutout of muscular man engraved on it, along with a message and name you would like to get engraved. Full customization is also available. 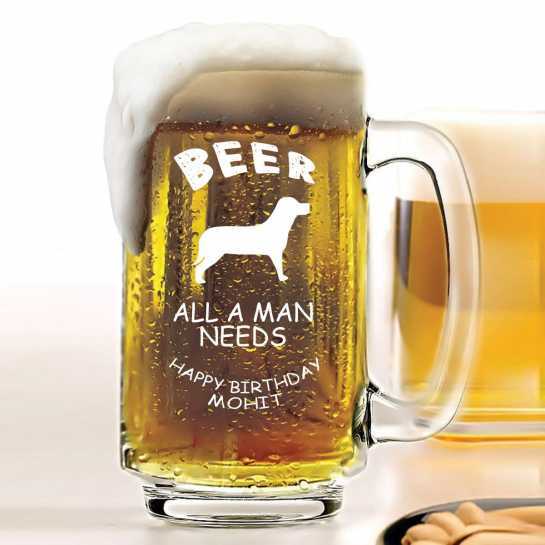 All men are dogs and beer is all a man needs. 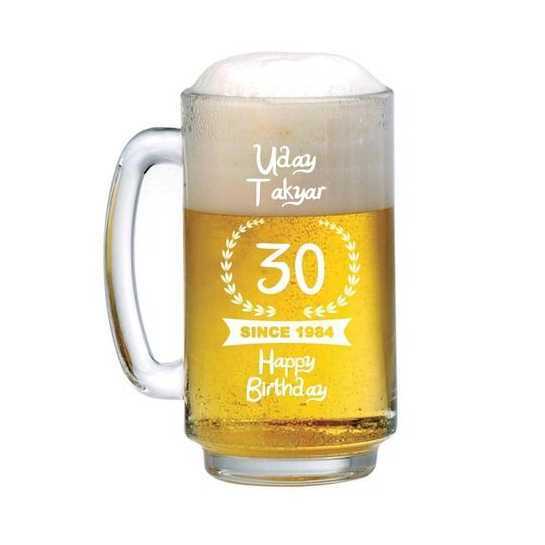 A fun and quirky personalized beer mug, with your message and name. Modification in the design is accepted. 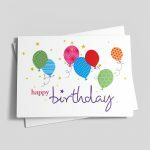 Dezains.com offers many more designs for the beer mug, and you can check out their entire catalogue. 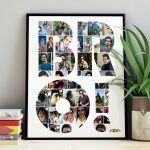 In case, you are looking for some other creative gifts for husband, you should check out this page – https://dezains.com/s/123/best-gifts-for-husband. 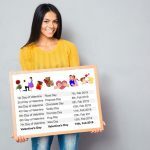 Not just beer mugs, but you will find personalised whiskey glasses, wine glasses, champagne glasses, creative photo collage frames, caricature clocks and many other unique gifts for him.